The short version: here’s a prototype audio game that Simon Flesser and I made a while back. Download it and have a play and let us know what you think! Some time ago I was able to spend a really amazing week with an artist who I greatly admire – Simon Flesser from Simogo. Simon and Gordon’s games are wonderfully crafted interactive stories with an obsession for detail and an uncompromising aesthetic approach that has resulted in widespread acclaim. Simon and I had often spoken about collaborating on something, but we didn’t really know what form that would take. I think many of our early ideas revolved around emotionally powerful audio and lovely hardware – in retrospect perhaps Simon was looking to explore a world of game design away from a screen, and I was looking to integrate narrative into the objects I had been building. In any case, we both blocked a few days out in our calendars and Simon booked a trip to Scotland. That question led to a long set of discussions about what we were interested in; what would we make if we had no restrictions, and (more importantly) what did we want to explore creatively? We quickly started to focus on the idea of making a sound game – a video game with no screen, if you will. This leads to a number of interesting restrictions, particularly when making something with a strong narrative element. With no screen to look at, how do you design the interactions? How do you make something where the player feels in control and aware of their place within the story, whilst still holding back enough information and retaining enough mystery for it to feel like a game? There are a number of good examples of this, perhaps the most famous recently being Papa Sangre, and here in Scotland the wonderful Other had many audio-only features as well. For an incredibly exhaustive list go to audiogames.net. But stepping outside the mobile gaming bubble for a second, audio-only experiences shouldn’t strike us as all that groundbreaking. Radio dramas, after all, preceded TV dramas by several decades – and oral histories were the media format of choice for many cultures for millennia before that. Mixed in with all of these concepts was a desire to make something physical, something with movable parts that you hold and move and twist and love. Perhaps we were both tiring of working on games for touchscreens – the last few games I made with Lucky Frame can attest to that. From a music technology perspective this is no anomaly, with ’boutique’ hardware and opaque modular synth systems now becoming positively mainstream. 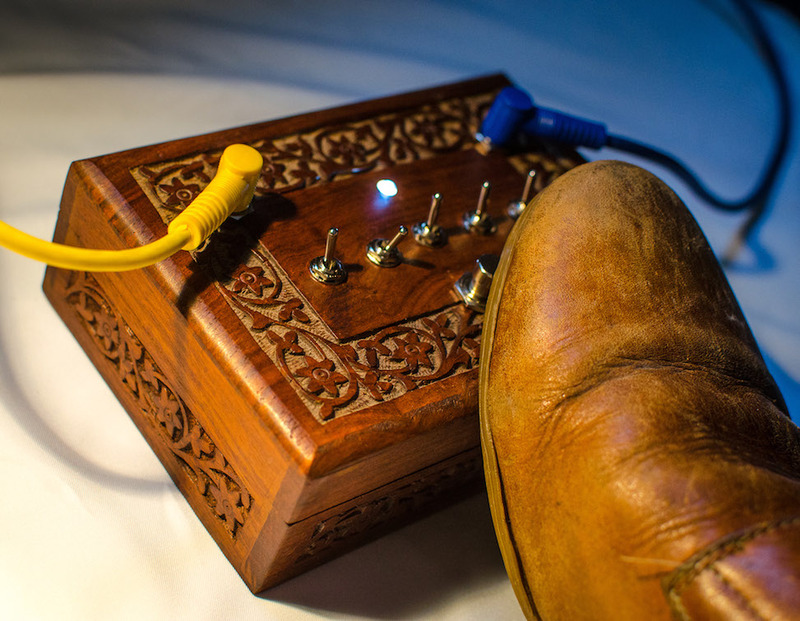 In many ways the most exciting game development happening now, in my opinion, is of the ‘alternative controller’ variety, where designers are reimagining the physical methods for playing games. These trends could be seen as something of a rejection of the omnipresent touchscreens and standardised controllers that pervade mainstream media culture nowadays, and our discussions certainly reflected that. 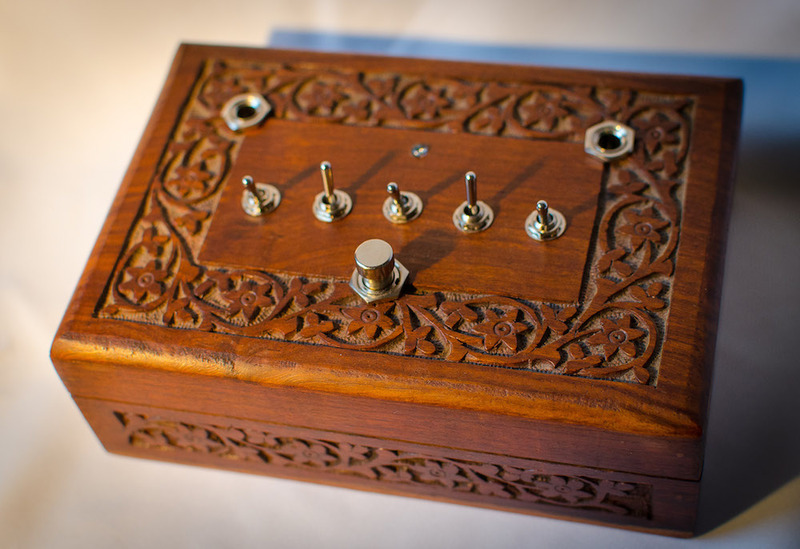 Out of this jumble of concepts grew an idea for a game built into a custom-built box covered in an array of dials, buttons, lights, and switches. It would have a headphone jack, but no screen. The game would take place entirely within a sound world, with the controls at the player’s fingertips. I think we were imagining something like an old Ham radio transmitter combined with an Enigma machine, which informed the general aesthetic of the storyline that Simon developed. When we started sketching out the story concept we jokingly titled it “Killcode”, with the idea that we could change the name eventually. As often happens in this type of process, we never managed to find a better name and the name stuck. The story itself borrowed from mid-century spy novels and TV shows, with some cold war-era espionage and intrigue thrown in for good measure. The as-yet-unbuilt box became known as the “Telemental Remote Operating System”, and we mapped out an outline for how the game would work. The core mechanics of the box, as we imagined it, were three dials or sliders for tuning into radio frequencies, a couple of light-up buttons, and a four digit code input system. The game would be divided into chapters, each of which would revolve around cracking a code and sending it back to headquarters. We saw this as the rough basis for a game-like interaction which could then be extended in different ways based on how the story would progress. With this structure in mind, we decided that the best approach would be to make a software prototype which would emulate the physical box. After a few rough drafts, Simon wrote a text for the first “chapter” of the game complete with world building, game clues, and a wonderfully chilling introduction. The incredible Roxana Vilk, one of my favourite voices (and people), very kindly agreed to play the main character, and the rest of the voices were played by myself and an assortment of friends and family (thanks Kate, Jenny, Fraser, and Jeannette!). Thanks also to Pete Vilk for the extra recording work! The sound design was super fun to do. I used my analog synth for the bleeps and bloops, found an old broken radio to make a library of static, and delved into my collection of field recordings, including one of my favourite ever – the sound of wind rushing through fishing line on a pier on Whidbey Island. 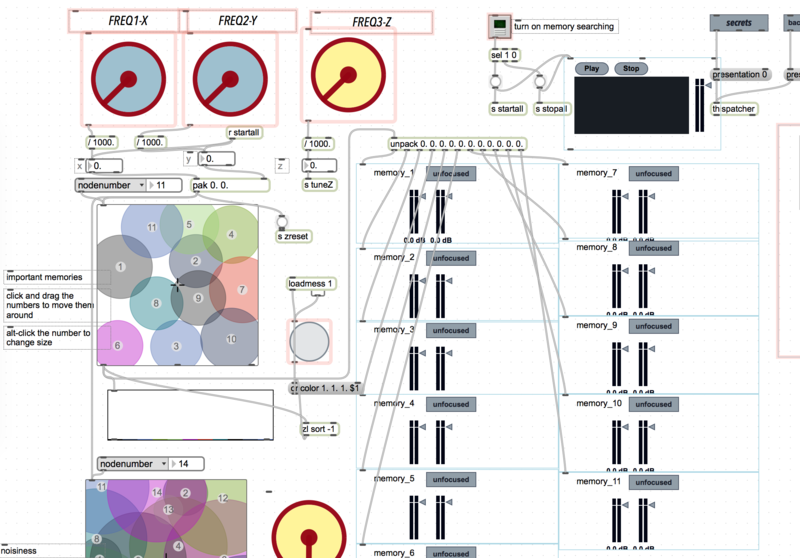 I built the prototype in Max/MSP, which was an interesting challenge as it is certainly not designed for building games. 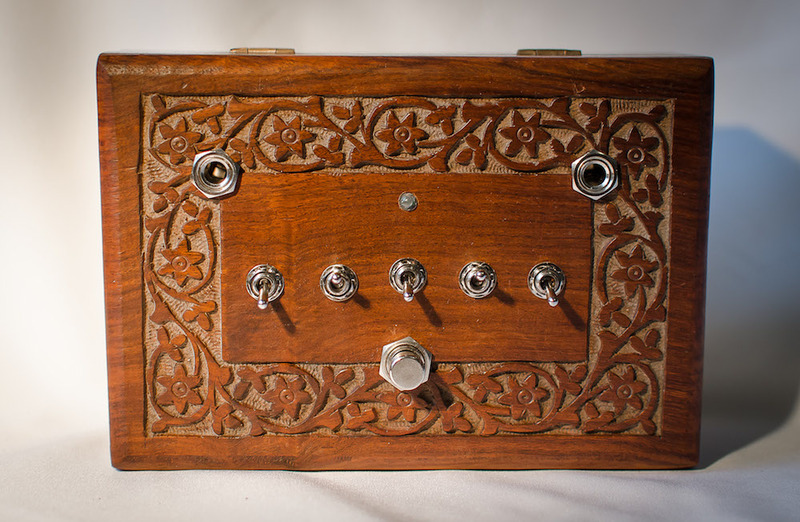 I was pleased to be able to make a fully functional prototype that was pretty close to how we had imagined, from the flashing light inviting you to press the start button all the way to the method of tuning into the various sounds. It didn’t look very pretty, but it worked! It was really great having a finished prototype. It instantly became something a bit more real, although perhaps not quite as real as we would have liked, since the whole concept really revolves around building a physical controller. But nevertheless, I think we were both really proud of getting that far. However we definitely struggled to figure out how to approach making this happen in a “finished” way. There are some technical hurdles, though these have become a bit easier – I can now imagine building the game in Pure Data, for example, and running it on a Raspberry Pi. However the real challenges are in terms of cost. Using proper voice actors would be crucial, for example, but expensive – not to mention our own time. Even if we were to source funding of some variety to cover this, we would be limited by our own vision of creating a lovely handmade object. My own back-of-the-envelope calculations result in needing to sell a minimum of 50 for at least £200 each just to break even. 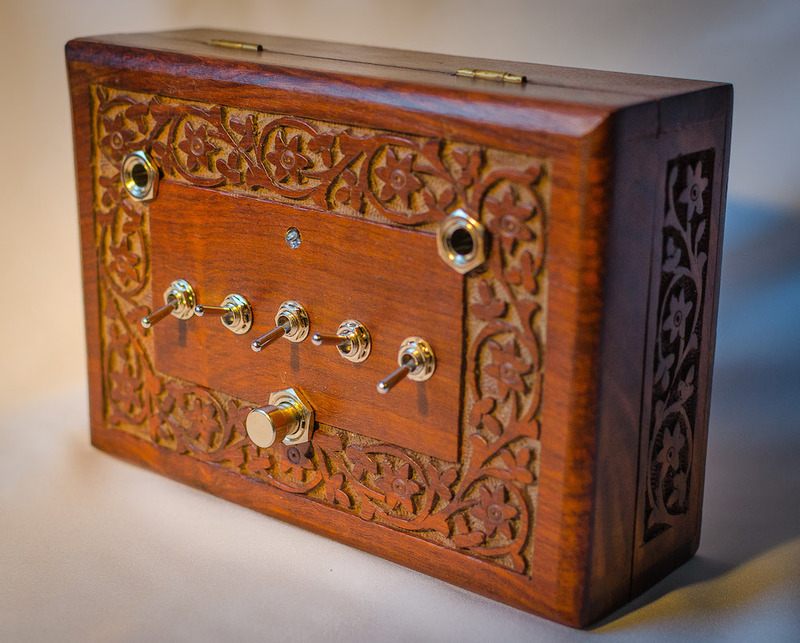 It raises a number of interesting questions, really…virtually anyone who learns about this project thinks it sounds excellent, but the cost of producing it – particularly at a smaller, handmade scale – makes it virtually unfeasible. 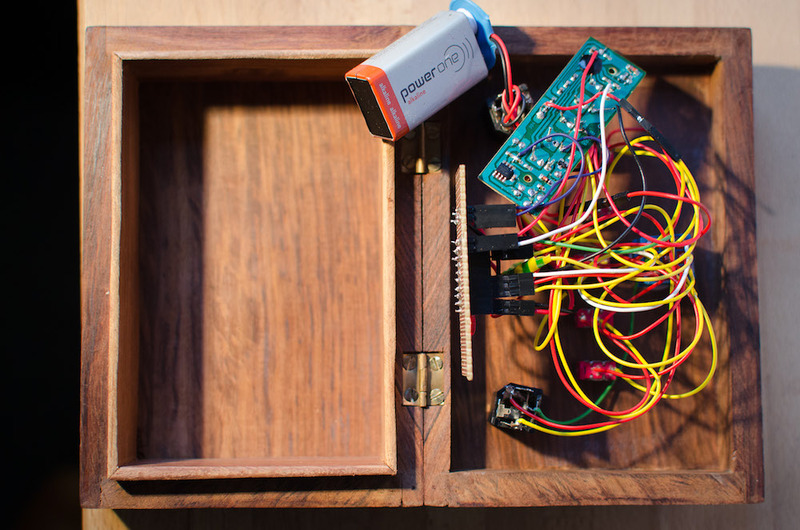 In a somewhat depressing indictment of modern technology, it would probably be more commercially viable to design a box that could be made in a factory by the thousands, rather than an adorable handmade object made from reclaimed materials. An obvious solution for this would be to compromise on the artistic vision – make a mobile version, perhaps, or make simplified mass-produced boxes. But that just doesn’t seem worth it – we came up with an idea that works precisely because we avoided those sorts of compromises in the artistic development of the piece. If we compromise the core identity of the work in order to fund it we will necessarily lose what it is that makes it so special to begin with. In any case, other projects and life events stalled the further development of this project, but it has stuck in the back of our minds as something wonderful that could one day be revisited. The other day as I walked to my studio it occurred to me that very few people had even played the little prototype, and I thought that the time was right to let it into the world. Perhaps it gives us some kind of closure for a project that we both dearly love…in any case I’d love for you to play it, and I’d love to hear your thoughts. Send me an email at yann@yannseznec.com, or find us on twitter: @yannseznec and @simonflesser. Many thanks to Dave House and Kevin Hay for help building the Windows version. So I travelled to Hamilton in May with a great little team made up of Lauren Sarah Hayes, Tobias Feltus, and Varun Nair. One of our main aims was to record an impulse response of the legendary 15-second reverb – this would then allow us to apply that reverb to whatever sound we like, after the fact. For more information about recording impulse responses, read Varun’s great article on Designing Sound. 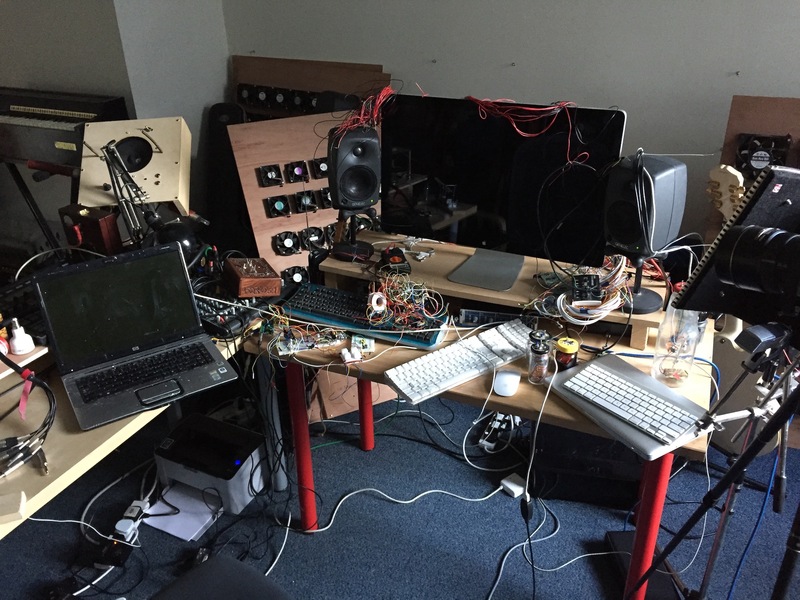 If you are interested in the impulse responses we recorded, and have the requisite software (Logic, Altiverb, etc), you can now download the IRs in a number of different formats from the New Radiophonic Workshop website. 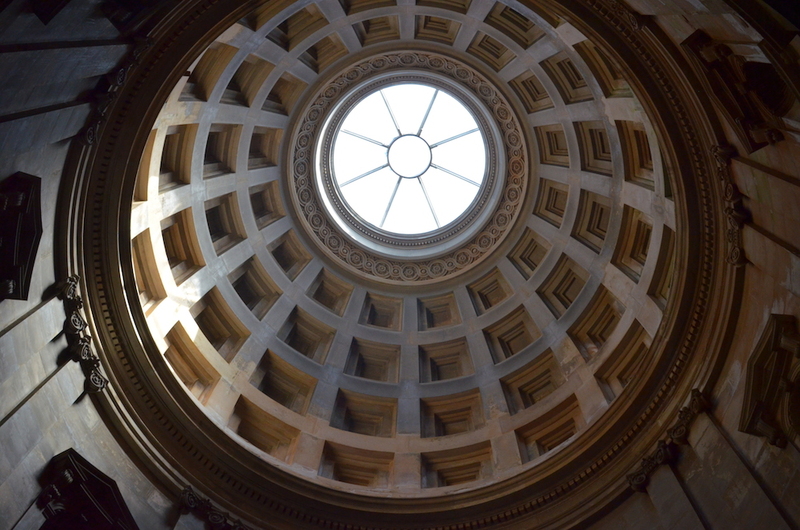 I think they sound pretty amazing, and definitely capture the feeling of being in the Mausoleum, which is very strange indeed. I’ve used this reverb to make a short piece, dedicated to my wife, called “Living in the Recent Past”. Have a listen. 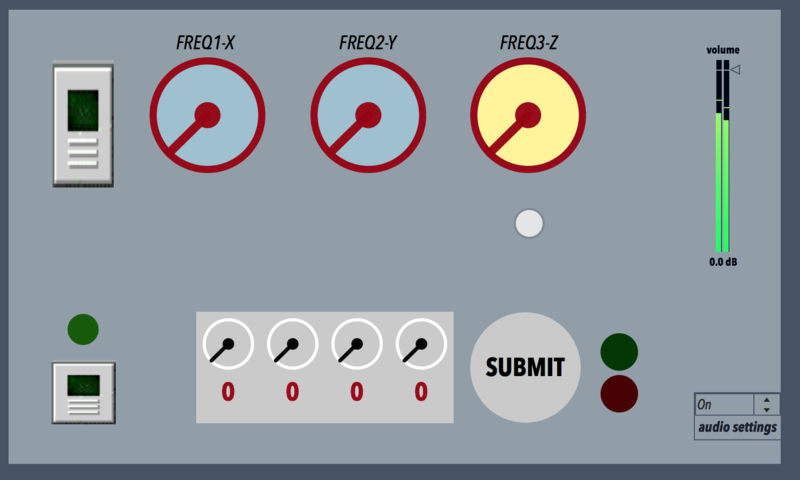 If you are running Chrome, or possibly another Web Audio enabled browser, you can also try listening to the reverb yourself. Go to this website and allow it access to your microphone – be sure to wear headphones! It should, theoretically, let you hear the reverb for yourself. I’m listening to it right now as I type, and every keystroke is a thunderous 15 second echo. Your mileage may vary, as Web Audio implementation is still quite spotty. Many thanks to Visit Lanarkshire for helping with our visit. The installation was up for several days, and I had a wonderful week in and around Bangor, Llanrwst, and Nebo. I played a super awesome gig in Conwy, spoke to some wonderful students at a school outside of Bangor, and I even managed to catch a very exciting Llanrwst United FC match. Many thanks to northern bloc and Datrys for supporting this project. A very special thanks also to Dominic Chennell and his beautiful family who hosted me during my time there and to Jacqui Banks who drove me all around the countryside! Many many things are happening these days, despite the apparent silence on this blog. You can check the Lucky Frame blog for some examples of the stuff I’ve been up to. I’m working on a few videos and things to post here, in the mean time I wanted to share an amazing record I found. This 45rpm record is called “Tableau of a Lithotomy by Marin Marais”, and I found it in my partner’s grandparent’s record collection. I was drawn to it because I’m a big fan of Marais, and because the cover design seemed incongruous with the content. It turned out to be a promotional record for pharmaceutical company Norgine, advertising Enzypan and Muripsin. Side 1 is a performance of the Marais piece “Le tableau de l’opération de la taille”, which is (according to the liner notes) “the only musical description of a surgical operation” (this is in the pre-matmos era). This record purports to be the first modern performance and the first ever recording. There are several versions of this piece on youtube in the original French, though I must admit that I find this version to be much more compelling, perhaps because of the lack of reverb and the dispassionate voiceover. The reverse side a radioplay-style recording of a doctor and a patient discussing the merits of various Norgine medications. The sleeve design is also amazing. I’d like to scan it all at some point, but for the moment here are some photos. In about an hour I will be jumping on a train to beautiful North Wales, where I am delighted to be creating a new installation on the Garth Pier in Bangor. 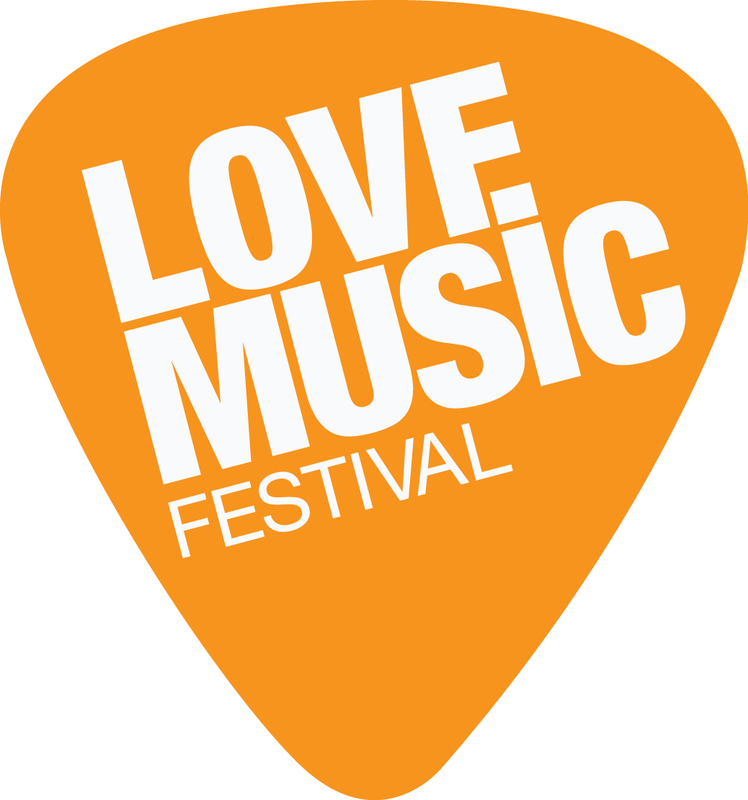 This project is being done as part of Bangor Sound City, with the support of Datrys and northern bloc. 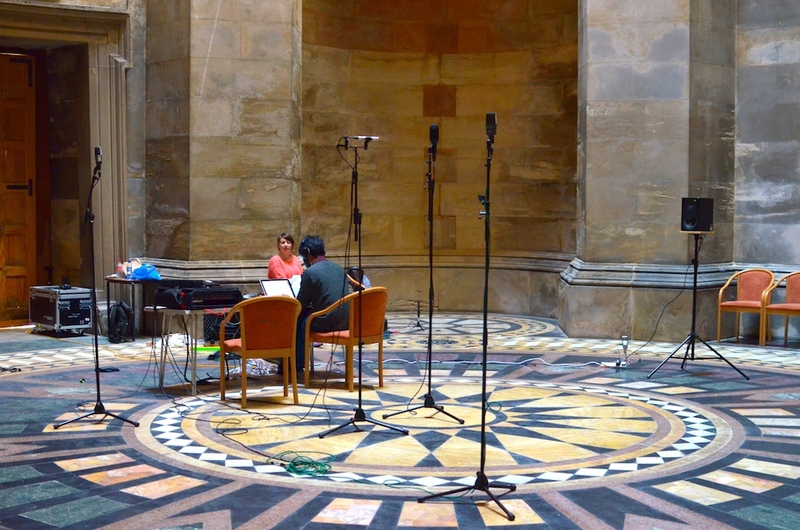 This installation harnesses the power of the wind to play a glockenspiel. A form of digital Aeolian harp, small propellors will generate tiny amounts of electricity, which will activate glockenspiel notes, creating polyphonic and polyrhythmic textures. The wood for the glockenspiel notes is cherry from Mennonites in western Maryland, but that’s another story! The name is derived from an older nautical term which refers to your position relative to the wind and your enemy. If you were upwind from the person you were trying to attack, you could bear down at will. Possibly the geekiest name for a sound installation ever? Also on the pier will be an interactive installation by Adam Cooke and Elizabeth Edwards, which will involve a gigantic tea set. Fun stuff! Come on down anytime and say hello if you’re in the area. I will be installing it tomorrow starting bright and early, and it will be open to the public all week from 8:30am to 5:30pm. It closes on Sunday the 20th at noon. I will also be playing a gig in Conwy on Friday night – I will post more about that later on in the week, right now I have to go catch my train! For the past few months I’ve been quietly working on a gigantic project with an amazing team of people, and last week we finally went public. The Love Music Festival is a brand-new series of musical events happening in schools all around Scotland. It is comprised of a series of exciting workshops in September and October and culminates in two weeks of concerts in venues from Shetland to Peebles, and everywhere in between. My job is to build custom software, musical installations, and run creative sound recording workshops in schools…so far I’ve been to Peebles, St Andrews, Barra, Benbecula, and Kilmarnock, and next week I’m off to Shetland and Inverness for a few more. You can follow my adventures on my dedicated Love Music page, where I’ll be blogging and posting software and videos. There is some software for download there already, give it a try! On a side note, the Western Isles are amazing. I’m glad I got a new raincoat, though. Thanks to everyone who came down to the Botanics last Sunday! Patrick and I had a drop-in session to show off our Secret Sounds of Spores installation, and we both felt that it went really well. Patrick and I will be giving a demonstration and explanation tomorrow night, the 15th of July, at the Apple Store in Glasgow. The event is free and begins at 6pm. We will be showing off a few of the instruments, I’ll be explaining how I’ve approached the software, and if this rain continues we shouldn’t have any trouble finding some mushrooms! 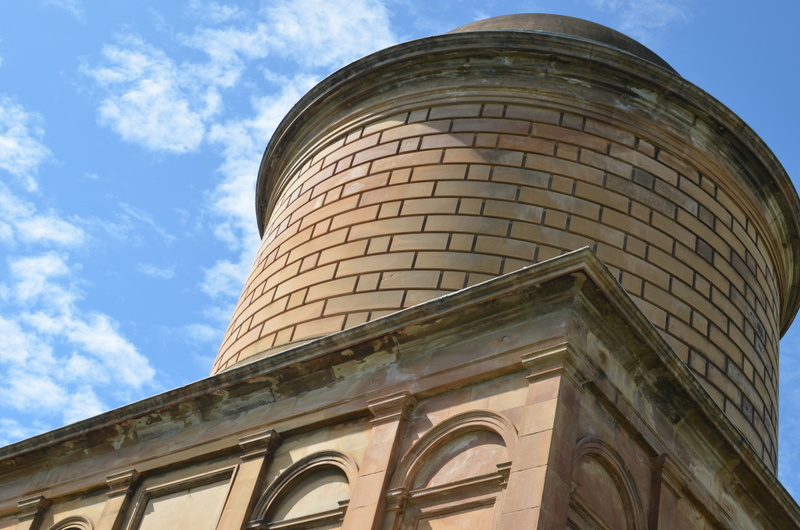 You can RSVP on the New Media Scotland Facebook Group or Eventbrite page. I’m working on a project right now with Patrick Hickey, founder of Nipht Technologies, which involves building an installation that will create music from mushrooms. This all came about when Patrick showed me some videos he had made using closeup footage of a laser pointed underneath a protected mushroom – as you will see in the footage below, it’s absolutely gorgeous. I loved how shining a laser revealed a whole hidden world that to me had an intrinsically artistic and musical quality. 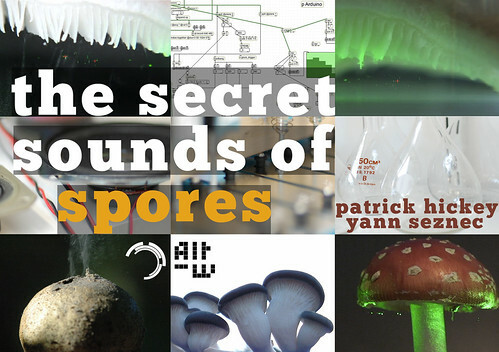 One interesting (and unexpected) outcome of tracking the spores to make music is that you end up with a really fascinating data set. This image represent the notes on a piano roll being triggered by three different mushroom spore video feeds – you can see the different patterns created by the different mushrooms. It’s a big project, and it will take a few more blog posts to explain it all, so if you have any questions please let me know and I will address them as well as I can!